A Free Online Junk Journal Course with a French Travel Theme just for you! 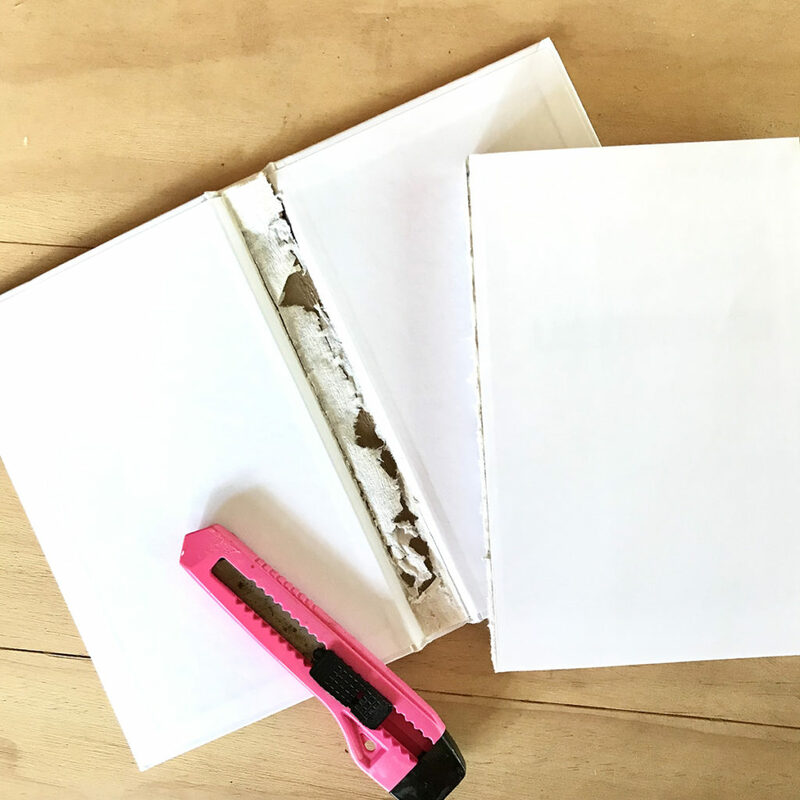 This is a series of 8 blog posts that will show you from start to finish how to Make a Junk Journal! 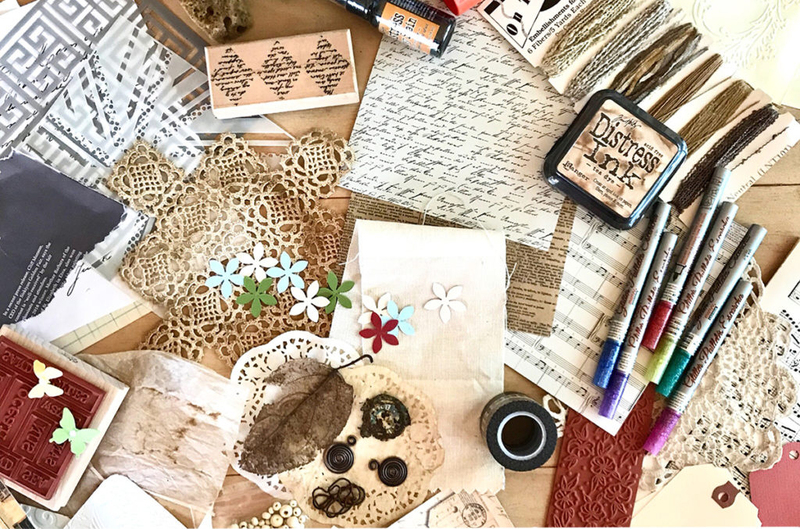 You’ll find lots of tips and techniques, free Printables and more to so that you can create your own Vintage Junk Journal. A junket is a pleasure trip, often funded by someone else. How amazing is that? Would you like to take a junket with me? Hello, my artful Mixed Media friends. My name is Rebecca E. Parsons, also known as Cre8tiva, and I am a life long journaler. It’s one of many creative things I love to do. I want to extend a very special invitation to you. Welcome to our Junk Journal Journey. 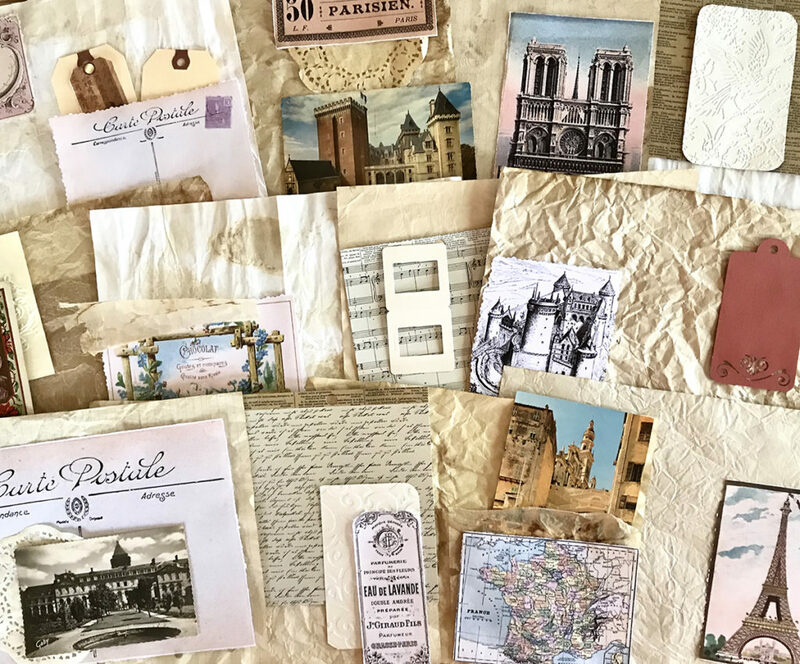 Today I am sharing the first in a series of tutorials of a vintage bound junk journal capturing an imaginary trip to France in a bygone era. Twice each month I will be sharing a new 4-page layout that you can copy exactly or use as inspiration for your own version. We will finish with three signatures filled with magical pages that tell the story of our imaginary travels together. In the final tutorial we will bind My Vintage French Junk Journal using a super fun, and easy to do, binding technique. 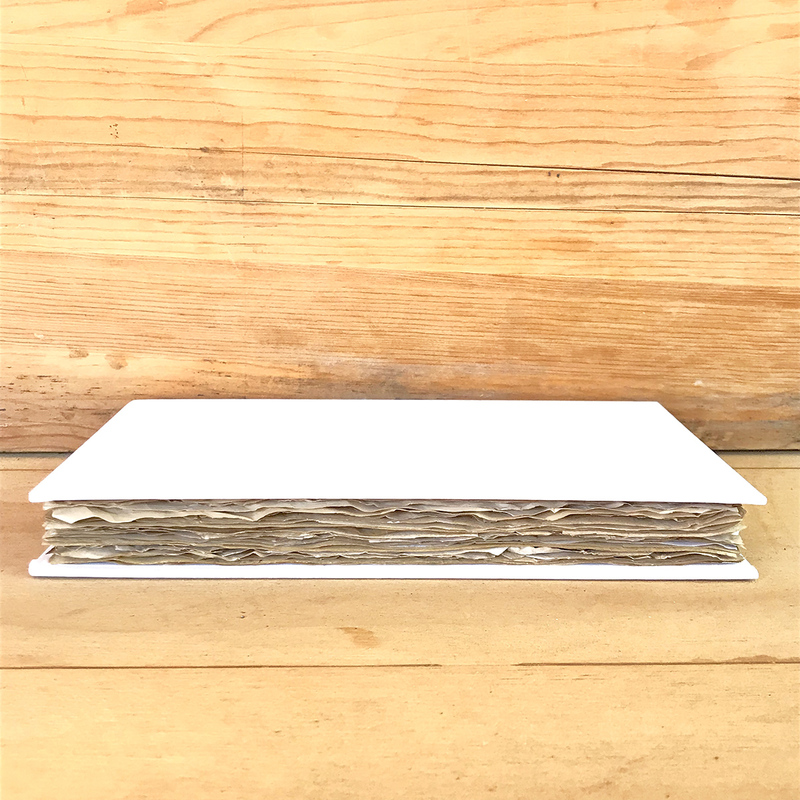 I just flat out love making books… I have been creating them, large and small, for many years. I have mastered some difficult binding techniques and created a few of my own bindings. I even created a case bound book, one that looks and feels like a hard bound one you buy at any book store. That was a doozie and a story to tell at a later time. Our journal will recap an ‘imaginary’ exploration of Paris including day trips to surrounding points of interest. In June we will begin by arriving in France and taking in all the new sights, smells and sounds. We are off on day trips to Versailles and the Loire Valley in July. The River Seine, The Left Bank, and Brocantes will fill our heads in August. In September we return home to review our travels and bind our memories. Does this sound like fun? Then join in the mixed media merry making explorations with us. You can see some of the ideas with our TGF ephemera below. 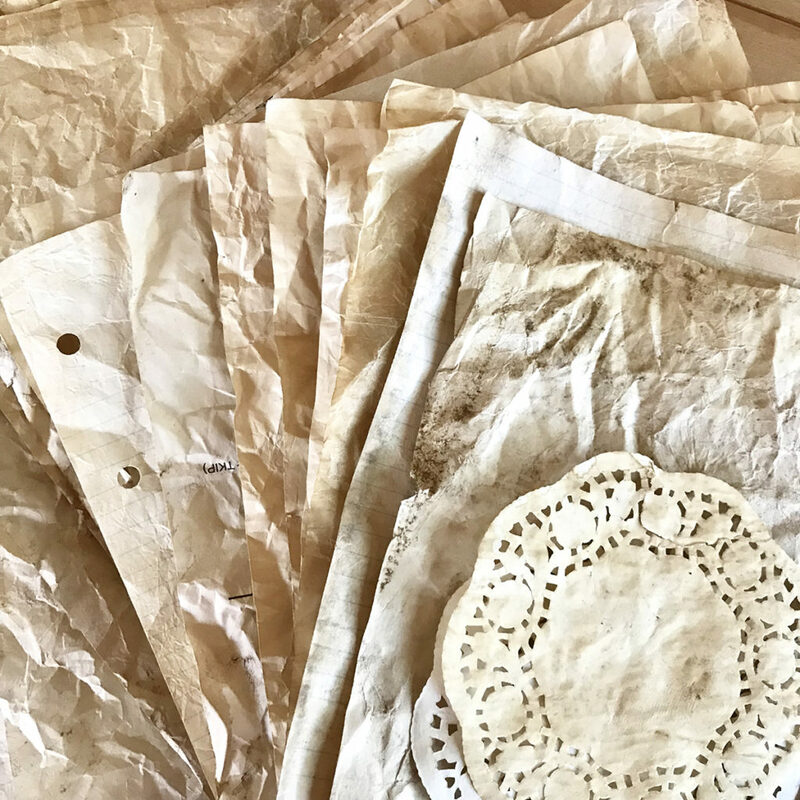 But there is so much more to do…stenciling, stamping, tearing, aging, inking, dyeing, crumbling, cutting, scoring, accentuating, embellishing…you get the picture! What Size Will Our Junk Journal Be? Let’s get started by deciding what size our junk journal will be. 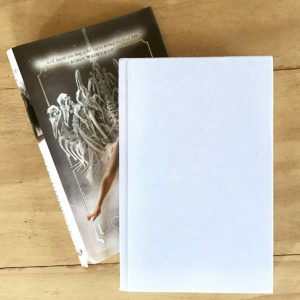 Your junk journal will be the size of the book cover you decide to use. 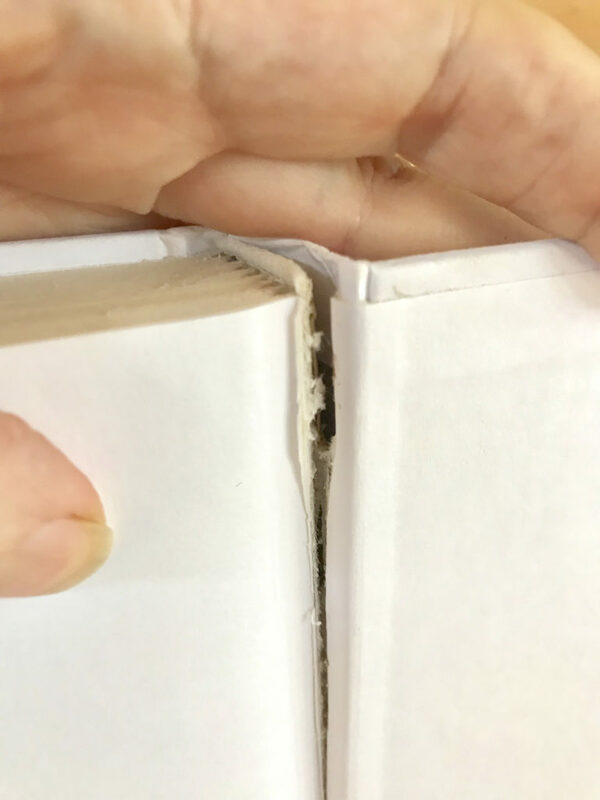 Our pages will be trimmed to fit approximately 1/4″ smaller on the outside edges of the cover you chose. So, it can be any size you wish it to be. We will talk more about the cover later in this tutorial. My cover measures 5-3/4″ wide by 8-3/4″ tall and is 1″ deep. I found it at Dollar Tree. How do I make the pages look vintage? My favorite trick to have instant age is to stain the papers using coffee or tea. While tea gives a more delicate vintage effect, coffee gives a darker, richer, sort of sepia look to papers. I use both. 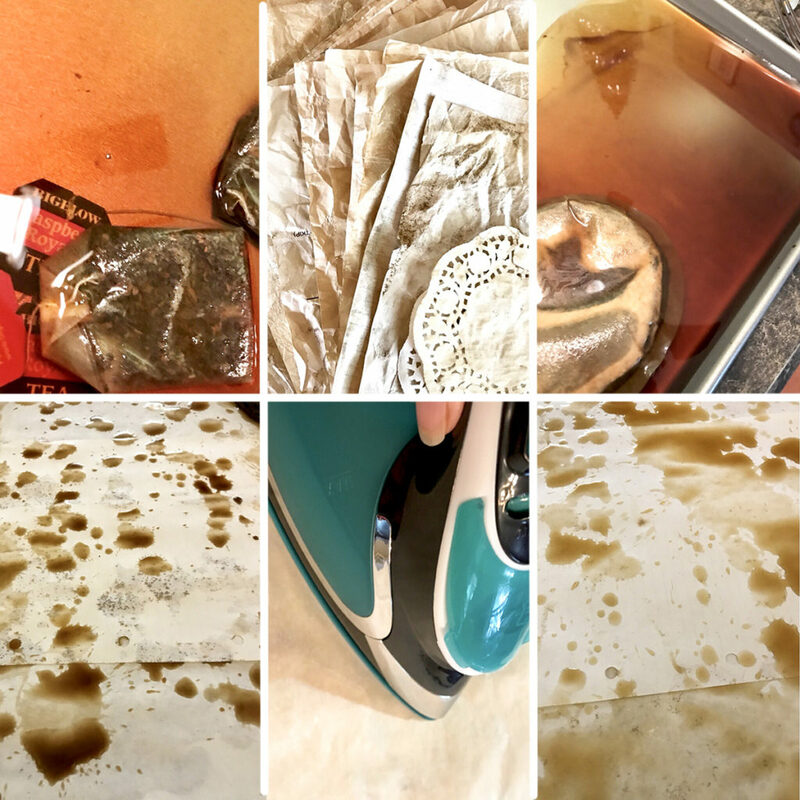 My favorite method is soaking paper in a shallow cookie sheet filled with tea. I use about 4 tea bags per cup of water. You can use more or less, just play to find the look you like. I also save the tea bag itself to add to the pages for texture and the tea inside to make a texture paste. 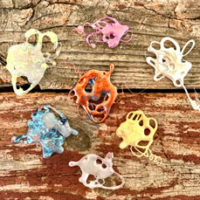 Below you can see I also spattered random drops on some after they had dried. Just note that the paper becomes very fragile when soaked with liquid. Use care when picking up wet papers. With coffee, I just brew a cup or pot and sprinkle or pour it over sheets laid on a cookie sheet with a lip. I have even heard of people baking the paper at a low oven temp like 225º. But I just douse mine and let it sit a while (15-30 minutes). I sometimes sprinkle the coffee grounds on the paper too. Just play with this part. There is no one correct way. The longer you leave the paper in the tea or coffee, the darker it becomes. So make it look as aged as you like. Don’t forget envelopes, tags, ephemera, and fabrics. Stain them while you are at it. 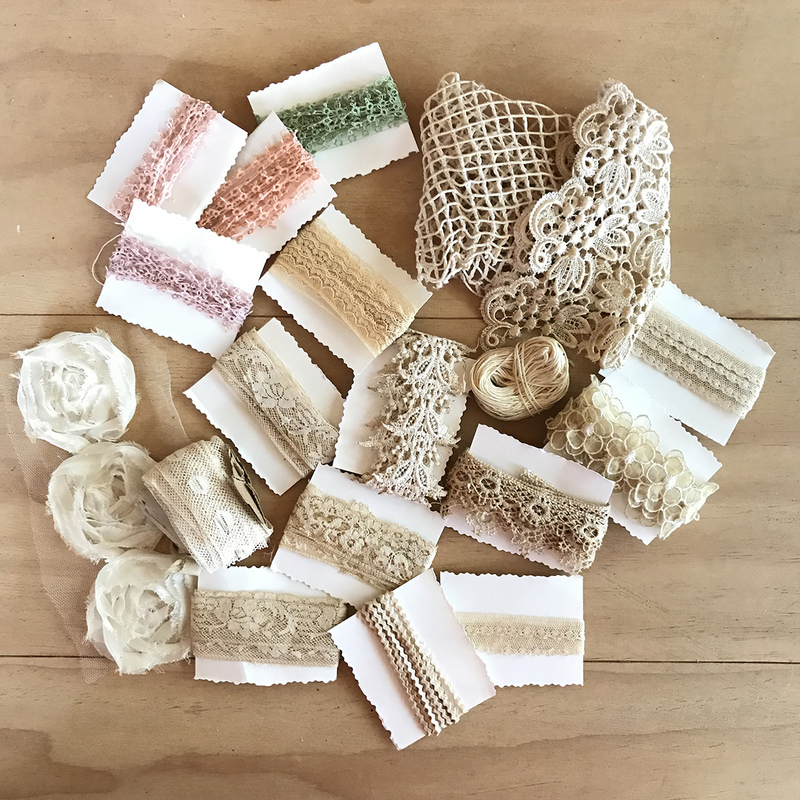 Here are some of the lace and ribbon I stained for our book. 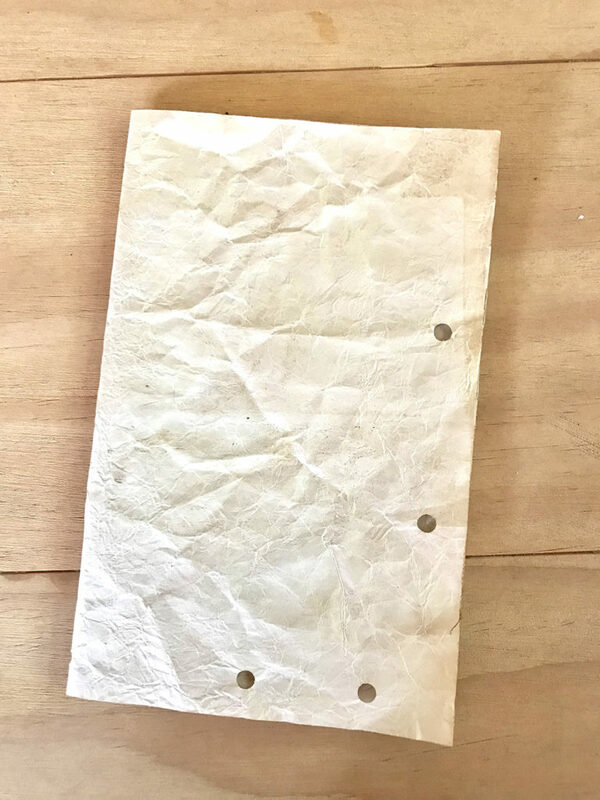 For a slightly different version of this technique, check out the Ancient Parchment Paper Technique HERE. I like a lot of texture on my pages. Sometimes, I roll the pages around the tea bags and squeeze like wringing out a washcloth. At other times, I wad them tightly into a ball while they are wet, then straighten them out flat to dry. I sometimes iron the pages for a smoother surface and more refined look. The possibilities…. I expect you will develop a few of your own aging techniques if you fall in love with making books and junk journals…like I have. Please share them with us here. In this lesson our task is to create three signatures, or sets, of four sheets of 8-1/2″ by 11″ paper and prepare the cover (see next section). That is 12 sheets of paper total. By create, I mean age using any of the coffee or tea techniques above. You might want to add a couple of extra sheets for pockets or just in case you mess something up, but messes are embraced in junk journals. That is part of the fun. There is NO right way to make a junk journal and there are NO mistakes…that means NO pressure to be perfect. Trust me, even simple aged papers bound into a book look beautiful. So let’s have fun with this journey! Find an old book in a thrift store (see my Dollar Tree book above) if you don’t already have one. It can be any book old or new. We will make the cover look old and vintage. The spine should be about an inch or so wide to hold our three signatures. We need to separate the book block or the pages from the cover. The book covers attached by the spine is what we want when we are finished with this process. Let’s separate the covers from the book block first. To do this, stand the book upright with the covers wide like below. 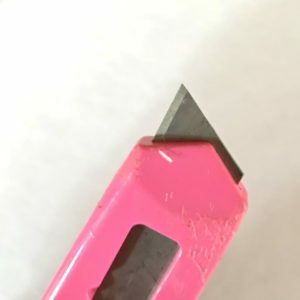 I use a box cutter and adjust the blade to be very short. 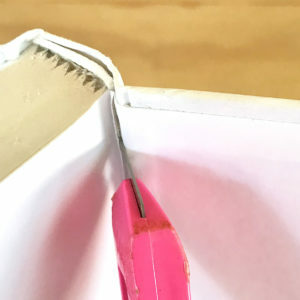 Cut gently into the crease where the pages join the cover with a sharp craft knife. Be careful not to go too deep and cut into the spine. 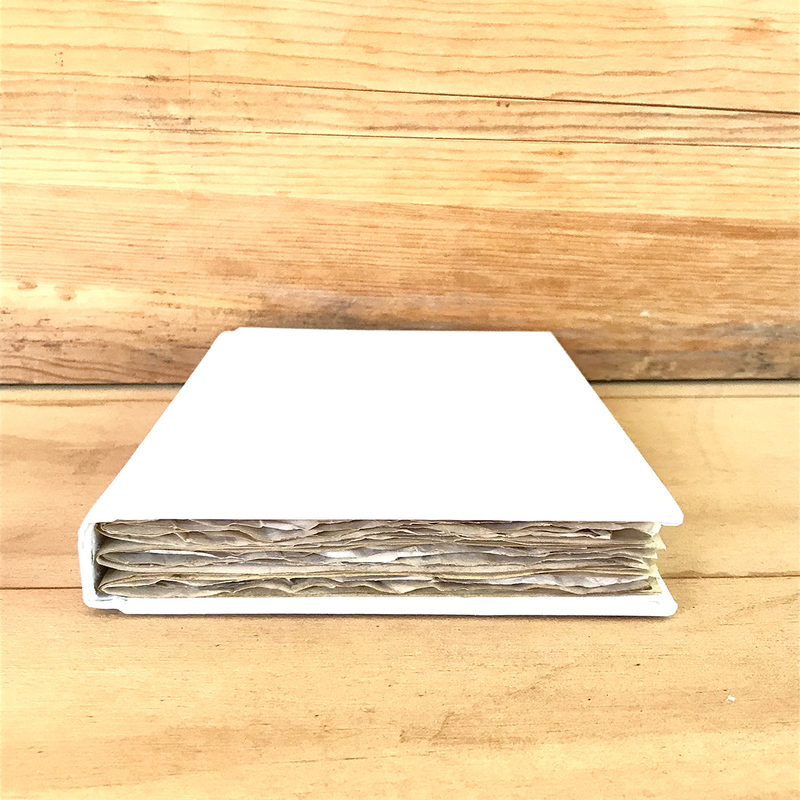 There will probably be bookbinding cloth, which looks like thick gauze, or paper in cheaper books like mine to cut through. It may take several passes to accomplish this. 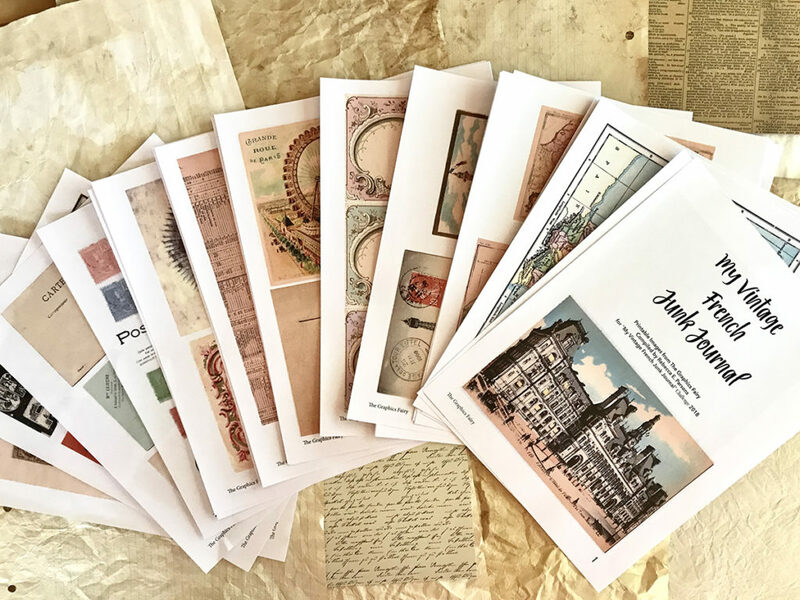 I have scoured the archives here at The Graphics Fairy to find some of the most amazing, beautiful vintage French images and ephemera to tell the story of our travels and place in our vintage French junk journal. Boy was this ever fun! Of course, you are free to peruse the The Graphics Fairy yourself (that is truly half the fun) and find the images you want to include in your junk journal. It is all good. I will give links to the graphics with each lesson! Complete three, 16-page signatures (4 aged papers folded in half and nestled inside each other) using the above techniques. Prepare your cover as directed above. Whew, that was a lot of information to start this class off. What do you think? 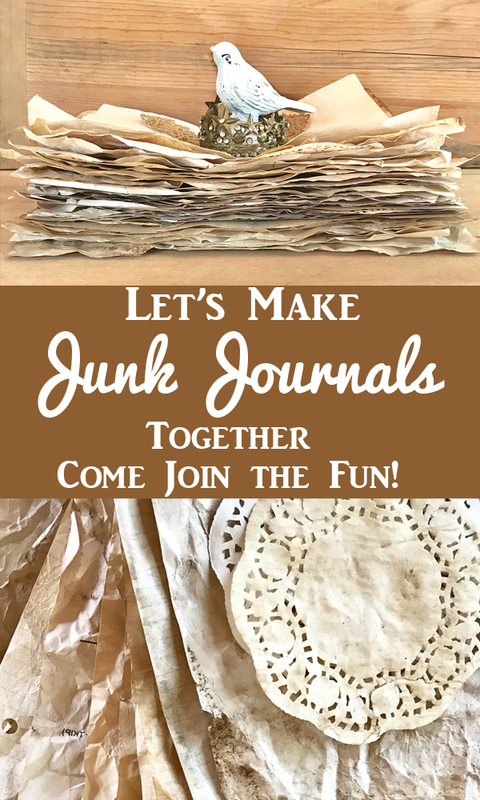 Are you ready to Make Your Own Junk Journal with me? Next Stop? Head on over to Part 2 of this series HERE. « Beautiful Natural History Butterflies Printable! Won’t it take 8 folded 8 1/2 x 11 folded sheets to make a 16 page signature? No Tom, this math can be confusing. I had to actually fold and count. One page folded in half give us 4 pages. I am counting every page like a book. So 4 pages folded, gives us 16 pages to decorate in a signature. Hope this helps. I am ready to do this with you. Looks like a lot of fun. I am thrilled you will join us Linda. NOW I understand more about junk journals! A friend recently gifted me one. It’s amazing!! But, I suppose while adoring it, I didn’t “get it”? This looks like such fun, and I get really excited about fake travelogues, so I’m going to try playing along. Count me in! This is exactly the motivation I need to finally attempt to make one of these. I’ve been reading about it for a while and watch videos. This is really for free? It seems too in depth to be free. So, thank you for that. I look forward to this summer journey with you. Yes, it’s free and so much fun Dorothy! We’re glad you’re feeling motivated to jump in and create this with us! How fun! Perfect gift for friends with dreams of visiting Paris! That sounds like a great idea Gayle. Welcome aboard!! This would be perfect for a family vacation. Since we love camping and there is so much to pick up and use in nature and so much that is easy to draw it should be rather easy. This is going to be such fun! Thank you!! I know Mary…I had so much fun making the pages, I can’t wait to decorate them. Glad you will be making the journey with us. Hi Rebecca this is just the inspiration I need to get back into book making after a lull of several years. Thanks I will be joining in. Looks like so much fun! I’m looking forward to working on this with you all. That’s wonderful Joyce! We look forward to having you join us! Thank you for all the good information. I am excited about this. I have been collecting stuff. I’m looking forward to this summer tutorial. So glad you are joining in Debbie!! Oh Finette…I am thrilled that you will be joining in and will keep me on my toes. I studied art in Lyon and left a piece of my heart in France. Going to try and keep up!!! Looks like fun!!! Addie…There will be ample time to create pages between posts. Plus there is no deadline for completion. The posts will live here forever, so no rushing is required!! That is certainly perfect for me!!! Exciting! Looking forward to this project. I am so glad Laurel, good luck!! How wonderful!!! I get to go to a creative class and not leave my home! And it couldn’t be at a better price!!!! Thank you so much for sharing this with me! You don’t know how much it means to go on this journey with a bunch of women from everywhere, enjoying creating something beautiful! And I love the imagination part! If you can’t travel, pretending is the next best thing!!! What an absolutely great idea and bonding experience! I look forward to this! Now I have to get started! Hello Dollar Tree! Enjoy your creative journey Twana, I am so glad you are going to give it a try, good luck! Looks like a fun summer project. Already have the coffee dyed papers and a book with the pages taken out. Can’t wait for the next lesson. Thanks for your inspiration. I have my book cover and my stained pages are laying in the sun to dry. One question: my book cover is really ugly. May I gesso over it now or should I wait? I’m excited about this class. Thank you so much, Karen & Rebecca. I’ve never made a junk journal but have admired the ones my friends make. I am so tickled that you are joining the journey Eileen. YAY! We will make the cover in the last tutorials. We might possibly need to expand the spine, so you can wait and concentrate on your pages for now. Your cover will be amazing! And your friends will be admiring yours! WINK WINK! Can’t wait to learn new techniques and have fun creating! Thank you! We are so glad Jane, have fun!! Let me know how you are doing as we move along this Summer Jane! Looking forward to making one! Will there be emails letting us know when next section is up? Oh Sylvie! Merci. You make my heart sing. I would LOVE LOVE LOVE to have scans. I have one friend in France who runs a popular site that sells French brocante items. I always hate to bother her with my requests. Feel free to email me so we can communicate without taking over this thread. [email protected]. We are the same age also!! Oh yea Carla, I hope you have fun!! This sounds like so much fun. I have been working on junk journals the last few months, but really wanted to do acParis theme one. So excited to do this along with you. Thanks so much Joy, I hope you enjoy it!! We will have so much fun with this Joy. Math was NEVER my strong suite…. Thank you for the clarification. Signatures completed. Me either. I had to put them together and count them one by one! Glad you are joining in!! This looks like great fun and I love all the links to gain additional wisdom. Looking forward to this adveture. I am so glad Michelle, enjoy! I visited France 50+ years ago so this us pulling on ne to give it a try! Thank you for the free tutorials. How wonderful! I’m excited to do this, though I’m getting a bit of a late start. Thank you for all the hard work you’ve put into presenting this; much appreciated! Thanks so much Lisa and I hope you have fun!! Just found your post and I’d love to join in. I have TONS of scrapbook cardstock. Is it too heavy for this project? Great Denise, it should be just fine, have fun!! Even though it’s a bit ‘late’, I’d love to participate if possible please? It’s never too late Mandy 🙂 We would love to have you join us. This is the first post for the project so a great time and place to start! Here is a link to the 2nd tutorial, https://thegraphicsfairy.com/junk-journal-page-layouts-1/ Have fun!! I did lesson 1 and am anxiously awaiting more. Did I miss something? I’m subscribed to the Graphics Fairy . 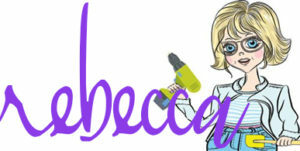 I hope Rebecca is okay. Hi Eileen, you didn’t miss anything, everything is always available for you on the blog 🙂 Here is a link to Rebecca’s 2nd post, https://thegraphicsfairy.com/junk-journal-page-layouts-1/ and she just released her latest today, https://thegraphicsfairy.com/how-to-make-a-junk-journal/ they are all on the blog if you need to refer back to them. Enjoy! I am wanting to print/download the 3 postcards but they are only very small and won’t enlarge…..help please!! Hi Rebecca, Really enjoying reading through this fun tutorial and thinking of trying my own variation, probably more nature-themed than Paris. Thank you for all the good ideas delivered so enthusiastically and in such lovely detail! Anyway, you mention archival and acid-free supplies on the next lesson. What you may not be aware of is that tea and coffee staining is definitely NOT archival. These liquids leave tannic (and other) acids in the papers, fabrics and whatever else, which considerably accelerate the eventual degradation of the materials. Some people don’t care how long their art lasts, and for them tea dying may be fine. 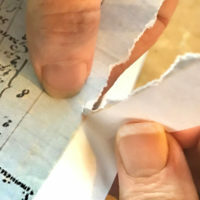 But crafters should be aware that it’s rather futile using archival adhesives and acid-free papers with tea-dying if long-term survival of the art is important to them. Similar, but more archival effects can be obtained (perhaps at slightly higher cost) using diluted watercolors, inks, fabric dyes and even acrylic paints for staining – it’s worth experimenting to see what works best for one’s own preferred papers, fabrics and other materials. Thanks so much for sharing your amazing knowledge with us Beth, it is very much appreciated! Hello Rebecca. I want to join, but I know I’m late. I have never put a journal together. 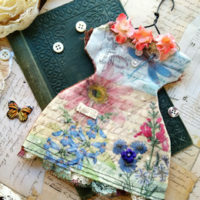 I have only done the mixed media covers and boxes through graphic fairy, Heather Tracy. Hi Debbie…I am so glad you are joining in. It is always a good time to make a book. I hope it open up a whole new adventure for you. It is hard to understand initially and fairly difficult to explain in words. Let me try to simplify the pages and signatures for you. I hope this helps. It is easy to understand once you do it. I usually have students take 4 sheets of printer paper stacked together, fold the stack in half, then count the pages as you turn them. Beth, that is a valid point and I would advise to work accordingly. I will pass this along in my future classes so students can make their own decisions on heirloom quality. Thank you. 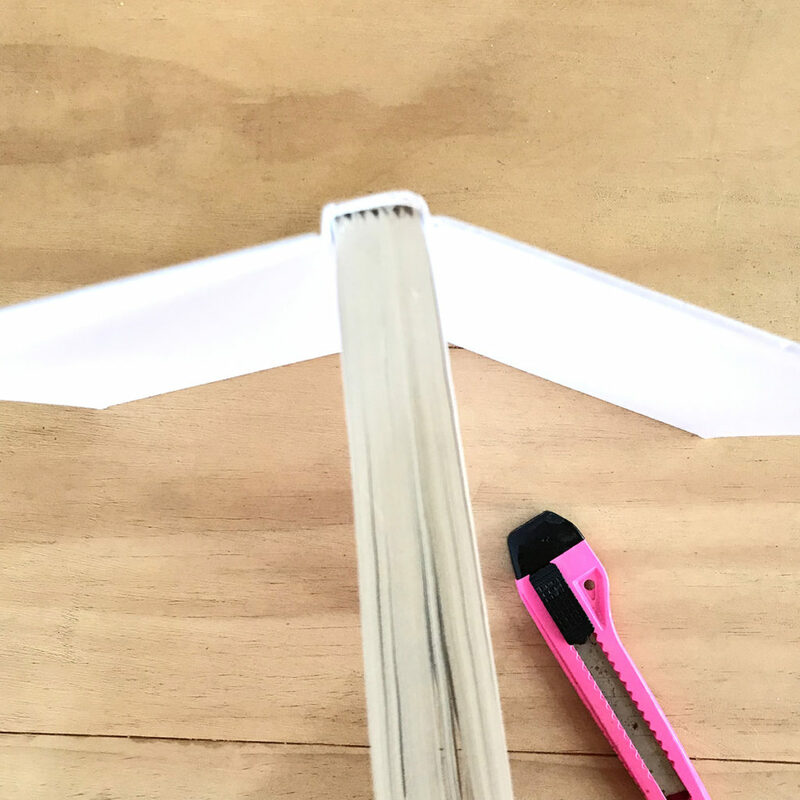 How do you attach the prepared papers to the book cover? I can’t seem to see it in your post. Thanks. Above in the Blog, it states at the end “Surprise Gift”: “I have scoured the archives here at The Graphics Fairy to find some of the most amazing, beautiful vintage French images and ephemera to tell the story of our travels and place in our vintage French junk journal.” Was this a link to free pages? If so, are they no longer available? I do not find a link.